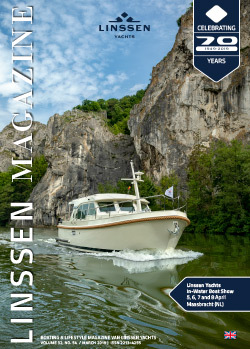 The interior of the Grand Sturdy series comes standard with the Linssen styling system: the patented Floating Panel System (FPS® System). What is the ‘je ne sais quoi’ that makes the Grand Sturdy series such a success? The answer is as subtle as the interior itself: the interior design is neutral! The designers had no intention of imposing a particular style on purchasers. On the contrary. The basic design is so neutral that everyone, whether young or old, can identify with it. Traditional or modern? Cool and elegant or loud and flamboyant? Traditional nautical features or cutting-edge design? You can combine it all at will, and your unique Grand Sturdy series boat will be the pleasing result.